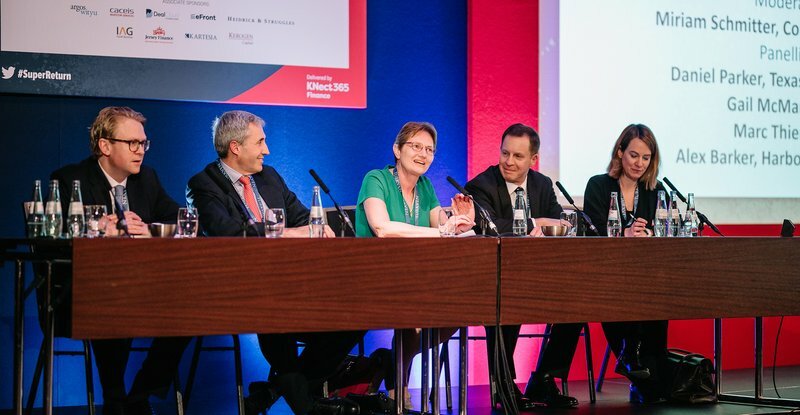 The sun was shining on this year’s SuperReturn and the mood was similarly bright despite some of the session titles preparing us for the end of the cycle. Many talks were rightly focused on innovation in strategy and approach and there were thought-provoking sessions on diversity, culture and ESG. As always, it was impossible to go to all the talks I was interested in, but here’s a quick overview of what I and my colleagues Rupert Bell and Charlie Hunt managed to catch during a busy few days in Berlin. One of the most stimulating sessions was David Rubenstein, Co-Founder and Co-Executive Chairman at The Carlyle Group, giving a tour de force overview of several key economic indicators for the US and European markets. His grasp of detail and ability to tie so many macro themes into a lucid and humorous half hour was highly impressive, as those who have heard him speak before will recognise. His overall prognosis also pointed to a reasonably optimistic outlook for private equity investors, albeit with some obvious areas of uncertainty. From our more narrow perspective of the employment market, his comments supported the wider view we took away from the whole conference of continued growth expectations. 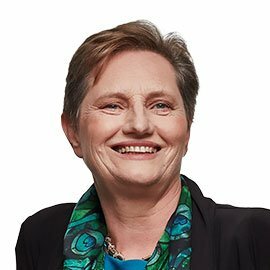 The ESG agenda, which had been pressed hard by the organisers, allowed LPs and GPs to debate the merits and drawbacks to the issue, essentially circling around the question of whether ESG can add value or is simply an additional compliance overhead. Our takeaway of this is a leadership issue; if those at the top of the organisation make it a genuine priority, others will follow suit and be willing to attribute positive momentum. There are now so many clear examples where a good ownership ethos is shown to drive positive valuations; we are beyond the stage of LPs putting pressure for feel-good reasons, there are now real commercial drivers for best practice. Predictably and deservedly, Molly Bloom, poker entrepreneur and author of Molly’s Game: The True Story of the 26-year-old woman behind the Most Exclusive, High Stakes Underground Poker Game in the World, packed out the room for her session: ‘Molly’s Game: The true story’. A pertinent point Molly shared was that winners are generally the people who play for the long term; those who know when to hold on and when to walk away. She also thought winners tended to be people who were more able to build and maintain relationships as well as having insight into the motivations of the people they are dealing with. A talk that really resonated with me was the sparsely attended but entertaining and thought-provoking Friday morning session from Kate Adie, former Chief News Correspondent and Journalist. She spoke about the importance of verifying information, something LPs do every day and something that’s crucial for us as recruiters as we need to ensure we can trust the information we’re given. Despite some strong presentations by women, including noteworthy industry insights from Andrea Auerbach, Managing Director and Head of Global Private Investment Research at Cambridge Associates, I couldn’t help but notice the paucity of female leaders on some of the panels. While it was great to see a couple of panels that were all female, it’s a shame that some of those impressive leaders weren’t seen more generally throughout the program. I enjoyed my own panel (pictured above): ‘Succession planning in mid-market private equity firms’. I was joined by Daniel Parker, Deputy Chief Investment Officer at Texas Tech University, Marc Thiery, Partner and Founder at DPE and Alex Barker, Principal at HarbourVest Partners, and we were moderated by Miriam Schmitter, Managing Director at Commonfund Capital. During the discussion, we heard some contrasting views on the pros and cons of building an enduring entity that outlasts the founders. Both inside and outside of the sessions, a word that was often heard amid the halls of the conference venue was Brexit. There was generally overall disappointment about the UK leaving the EU, confusion over what’s going to happen and concerns over regulatory impacts and the practicalities of travel. One of the most important aspects of SuperReturn is how truly international the conference is. It was great to see people from a broad range of geographies and hear their different perspectives. An example was hearing from some Partner-level females from China reflect on the focus on diversity in the UK and the different experience they have of being women in private equity. They see a greater proportion of women at senior levels in China and while they face the same challenges balancing career and family, there’s an expectation from childhood that they will achieve the highest level in their chosen path regardless of their gender. They are imbued with these aspirations from an early age. One of my colleagues noted the strong influence of US firms, seen as more experienced and more aggressive, and often as more articulate or forceful in making their case on strategy and practice, as an opportunity for European practitioners to compare notes on what works best in their respective markets. Perhaps flowing from this was the overall upbeat mood of the conference with continued confidence well into the medium term for the asset class. Overall, SuperReturn was a well-organized and well-attended conference that provided plenty of food for thought as well as plenty of food! The event is comprehensive, addressing every conceivable niche in the private equity market and bringing together key market participants from across the globe. As a service provider to this industry it allowed us to take the temperature, to connect with a huge number of existing relationships and develop many new contacts. We will be back.